Despite the differences in their interest and area of competence, the three presentations by a soil scientists, Jeffrey Howard, a community gardener, Steven Green and a bioartist, Nicole Clouston, revolved around the idea that soil is essentially a live entity which grows, changes and interacts with the surrounding environment (this includes plants, animal and urban development). 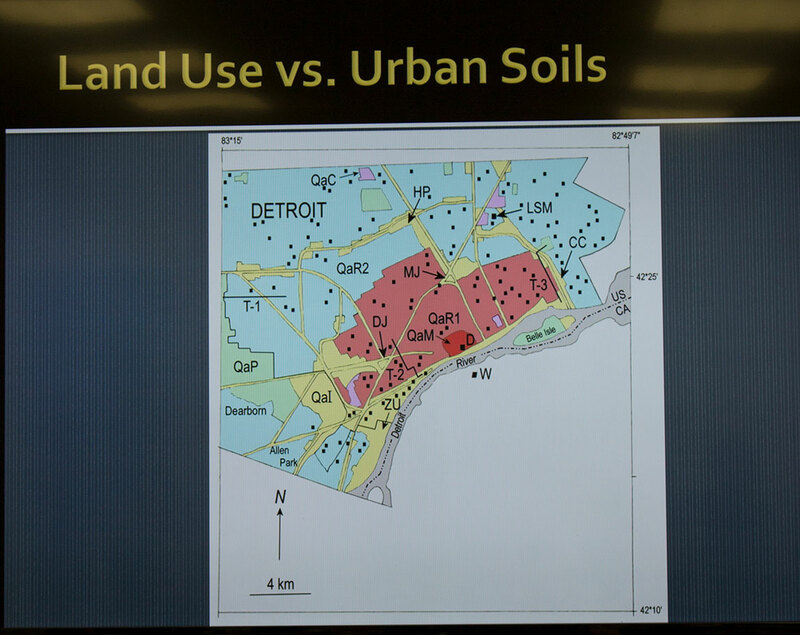 Howard’s interest in anthropogenetic soil includes the study of the way in which soil is affected by and interacts with humans. For instance, the construction of highways is a form of sealing the soil, the process of manuring is a type of transformation, and the recent recovery of new material that has been traced back to the action of human beings (so much so that this era has been re-named “the Anthropocene”) are all anthropogenic processes. According to Howard, pavement, contractions, and other sealing techniques may last several years, but if left untouched, they soon start manifesting a new layer of soil growing on top of them. Soil may grow back to the original conditions in around 70 years. Soil can also be remediated, as it is demonstrated by the somewhat recent phenomenon of the urban gardens. Making a space ready to be cultivated again is another anthropogenic process meant to speed up what would take several years if left to nature. 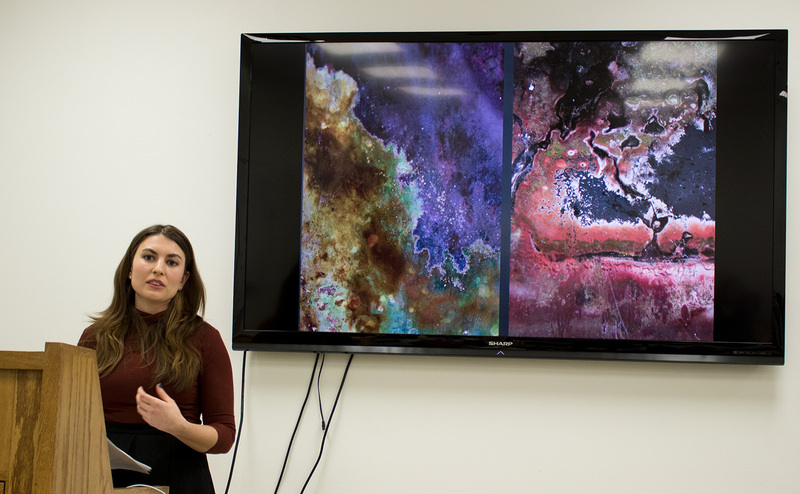 Another demonstration of the liveliness of soil comes from Nicole Clouston’s Mud project. Clouston drove around lake Ontario (which shares the space with the USA) collecting mud from different locations. She then created a series of installations consisting of columns filled with Mud nourished with minerals, calcium and cellulose. Astonishingly, when the bacteria contained in mud are left grow on their own, they create new often very colourful colonies that will keep mutating. Clouston worked followed rigorous safety regulations and worked closely with Microbiologists at the University of Buffalo. Despite this, some people in the audience raised concerns about the safety of the project: what if the mud collected is contaminated? What if non-native Mud contaminates endangered areas? It is somehow interesting that these concerns about cross-contamination are made in an area, the border Canada US where the same discourse are applied to human beings. It is also fascinating to see that our concerns are always linked to the ways in which human beings will be ultimately affected by the transformations that will ensue.